Our goal, at Phenix Salon Suites, is to help you become successful with your salon and provide a professional, aesthetic atmosphere for your clientele. Our brand new locations, allow you to make a good first impression as soon as you open doors for your business. In addition, you are welcome to upgrade your suite to fit your needs in order to create the look and feel you want. Whatever your specialty …. Hair Stylist, Barber, Nail Tech, Esthetician, Facial Specialist, Spray Tanning, Make-up Artist, Botox Specialist, Teeth Whitening, or other salon professional, we have a beautiful suite for you. Phenix Salon Suites of Plantation, Florida opened for business in August 2015. We are located in the Plantation Marketplace Shopping Center along the North side of Broward Boulevard, 0.6 miles east of University Drive, a main east west arterial through the Plantation trade area. The community of Plantation is in the heart of South Florida and known as one of the most prestigious residential communities in the area. This is a great place for you to bring your clients! Phenix Salon Suites in Delray Beach, Florida opened for business in March 2016. We are at the Marketplace of Delray Shopping Center, located within Delray Beach main retail hub at the northwest corner of Atlantic Avenue and Military Trail. The shopping center is anchored by Office Depot, Winn-Dixie and Ross Dress for Less and features a variety of destination tenants including GNC, Weight Watchers, Bealls Outlet and Dollar Tree. This will be a great location for your business to thrive! Phenix Salon Suites of Mt. Pleasant, South Carolina is scheduled to open in early March 2017. We are located at the Wando Crossing Shopping Center, situated in Charleston’s highest-income trade area and located in close proximity to area resorts and beaches, drawing tourist traffic. Phenix Salon Suites in Mt Pleasant will offer 28 luxurious suites, so there is a perfect suite for every salon professional. We have several premium and large double suites as well Deluxe Single Suites. As one of the fastest growing franchises in country, we make sure to do it right! 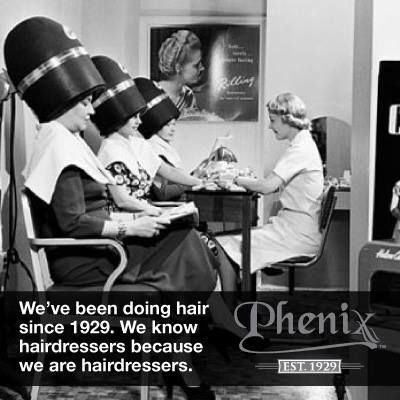 Phenix Salon Suites is the preferred choice of salon professionals looking for creative independence and professional advancement. We attract the finest stylists and their clients can expect the best service available when they walk into a Phenix Salon Suite. Our suites offer salon and business professionals the opportunity to own and operate their own salon type of business with no significant start-up costs or extra expenses for facility management and maintenance. Our suites are extremely reasonably priced and you will be surprised how affordable they are compared to other salon suites concepts, renting a booth or station. Let Phenix Help YOU Build Your Dream Today!